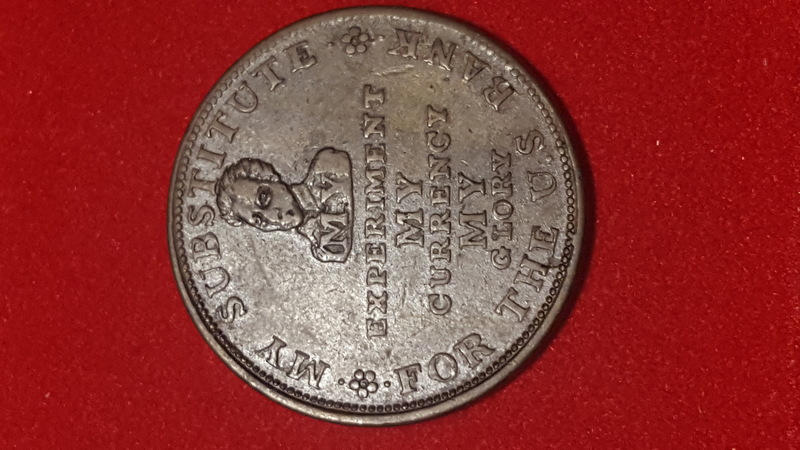 Even before the birth in the USA in 1891 of the People’s Party, better known as the Populist Party, it is possible to observe, through coinage, one of the earliest forms of populism, under the presidency of Andrew Jackson (1829-37), a founder of the Democratic Party. Jackson was elected on a platform of national popular sovereignty (the rights of the “common man”), against the excessive power of the elites (“a corrupt aristocracy”) and fought against some key institutions such as the Supreme Court and the Bank of the United States. 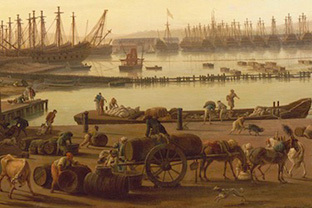 The use of the term “populist” is ambiguous, in this case as in others, because the negative emphasis implied by the users of the term is based on an interpretation of the true motives, nature and effects of policies that are ostensibly hyper-democratic but are accused of being manipulative, incompetent, impossible to enact, and reactionary rather than democratic. 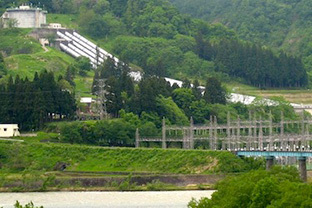 In the case of central banks, a radical criticism of the excessive concentration of their powers, of the negative effects of increasing interest rates, and of their support for financial privilege is considered by some to be in the interest of the people and possibly a progressive attitude. The opposite view considers such attacks as populist, given that central banks are necessary to manage monetary policy, to stabilize the business cycle, keep inflation under control and prevent bank failures that can cause major financial crises and damage ordinary citizens. 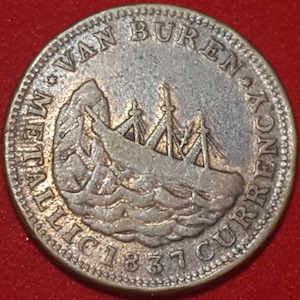 The scarcity of coinage due to the outflow of gold and silver coins in the 1830s, that led to the suspension of specie payments by most banks in 1837, caused an episode of private issues of tokens in copper. 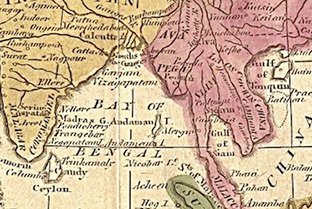 A total of 164 varieties of tokens were issued, with different nicknames used in each region (“Bungtown coppers” in New England, “Shinplasters” in New York and “Horse-heads” in New Jersey, according to B. W. Barnard). 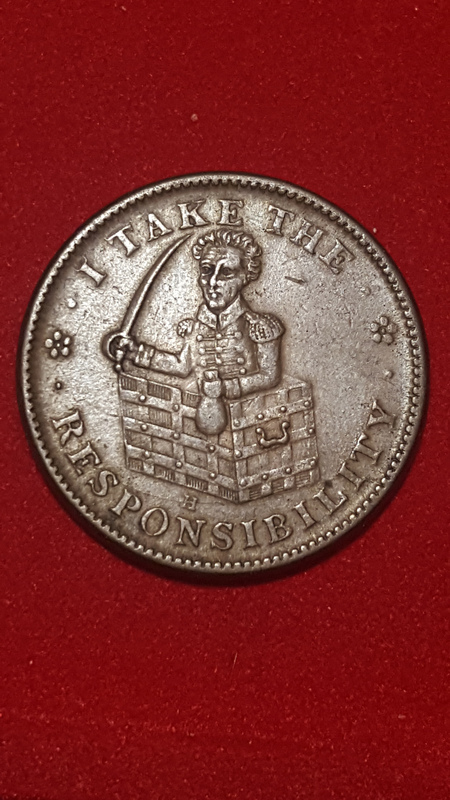 Some of those tokens were political in nature and can be used here to retrace the populist approach of President Jackson in his conflict with the second Bank of the United States (1816-41). 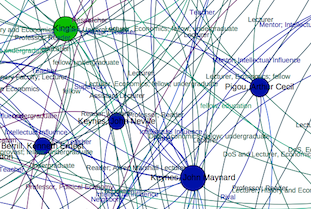 The latter was a private institution with a public role as financial regulator and holder of government deposits. Jackson saw it as a corrupt and partisan institution, asserting the dominance and privilege of financial interests, (including National Republicans and Whig party leaders), against the common man and the principles of equality based on the Constitution. Jackson refused to renew the Charter of the Bank and removed public funds from it, spreading them between different competing private banks. 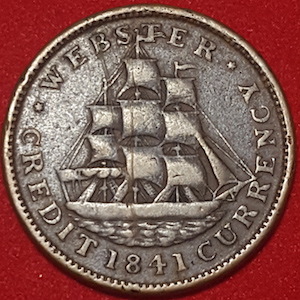 The Bank of the United States therefore lost its charter in 1836 and was liquidated in 1841, but by 1837 a financial crisis had begun. It was the second central bank to be closed down in the US in the early nineteenth century (the first was closed in 1811) and only in 1913 did the US finally have a new national institution managing monetary policy and dealing with banking panics, the Federal Reserve System. 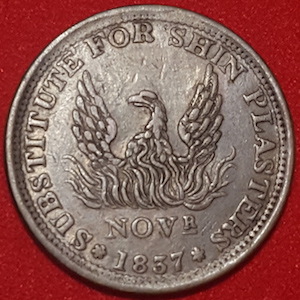 Economic and banking crises were used to argue that the national central bank was responsible for their outbreak or insufficient containment when such a bank existed (1819, 1929, 2008) or, in the opposite case, to prove its necessity when such a type of bank was not in operation (1812, 1837, 1873, 1893, 1906). 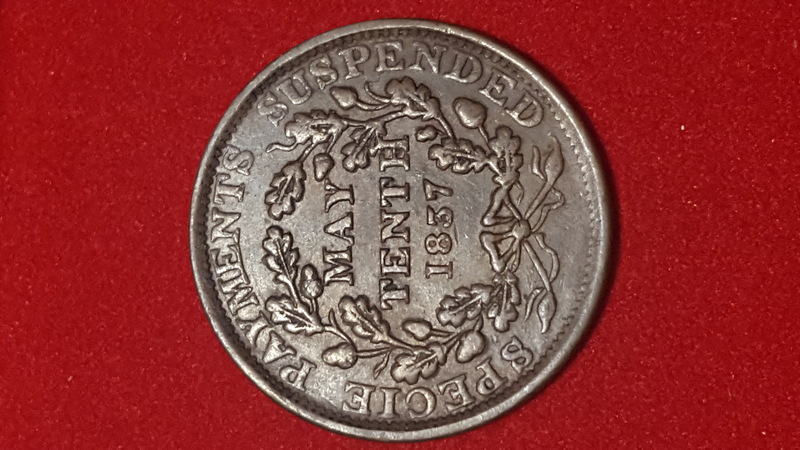 The “Bank War”, as the conflict between Jackson and the financial establishment was labeled, inspired some interesting monetary artefacts in the shape of one cent private tokens. 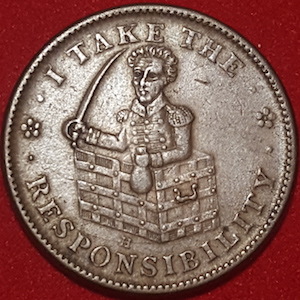 The obverse of an 1834 token shows Jackson, in his military uniform, holding a drawn sword in one hand and a money bag in the other and emerging out of a bank chest circled with metal bars. 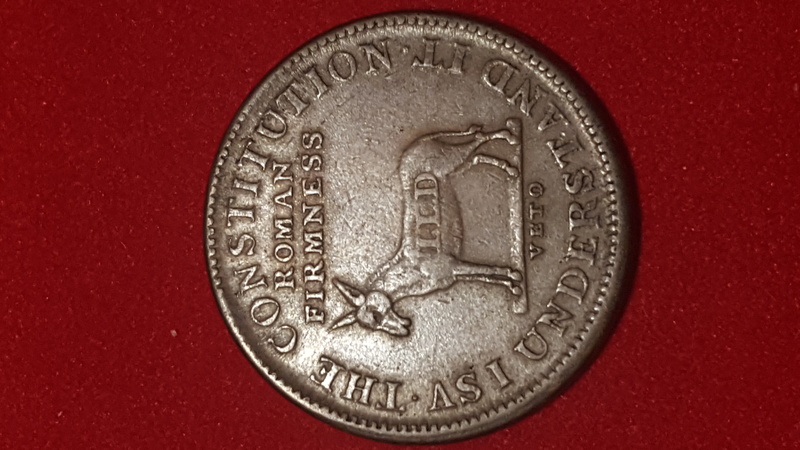 The caption reads “I take the responsibility”, while the reverse mentions Jackson’s expression -- “the Constitution as I understand it” -- while a stubborn donkey carrying the letters LL.D (Harvard had given Jackson an honorary degree as doctor of law) refuses to budge under the label “Roman firmness”. 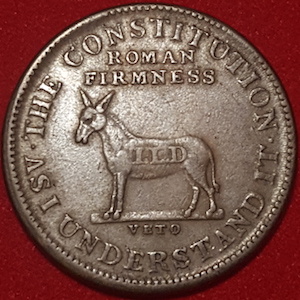 The donkey became the unofficial symbol of the Democratic party only several decades later. 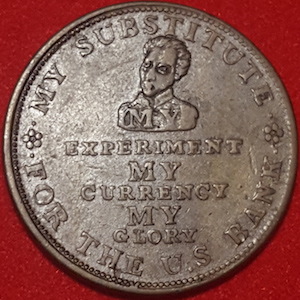 Another token from 1834, around a bust of Jackson dressed as a civilian, bears on the obverse an even more explicit reference to the “Bank War”: “My substitute for the U.S. Bank” and “My experiment, my currency, my glory”. 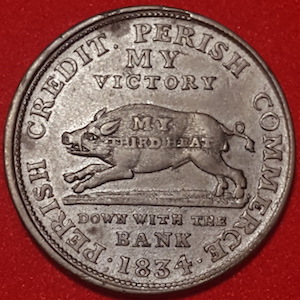 The reverse completes the message with a running boar representing the expected third candidacy of Jackson for President, under “Perish credit, perish commerce. My victory, my third heat, down with the bank”. 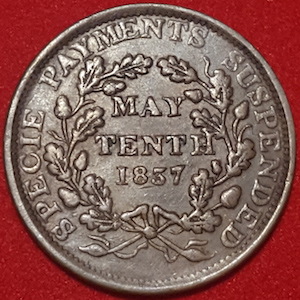 A further token from 1837 testifies to the monetary problems that followed the difficulties of the Bank of the United States, after the end of Jackson’s second term of office: “Specie payments suspended. 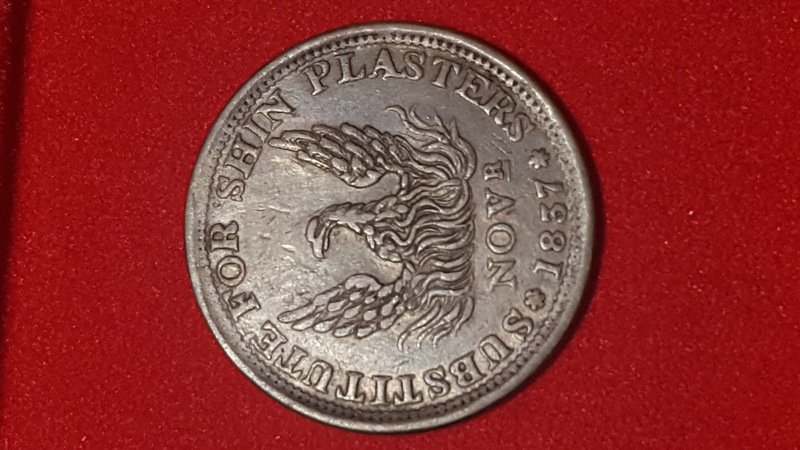 May tenth 1837”, and the temporary remedy “Substitute for shinplasters- November 1837”, associated with the image of a phoenix rising from the ashes (and the flames). 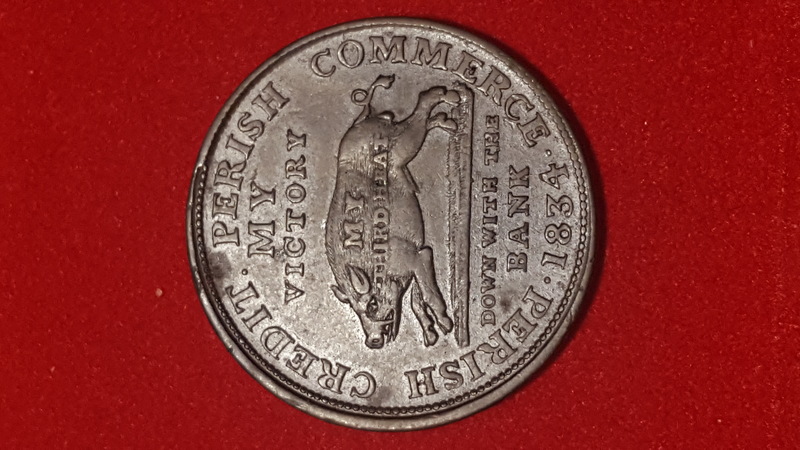 The Whigs blamed the panic of 1837 on Jacksonian democrats for having effectively closed down the U.S. Bank, while the Jacksonians blamed paper money inflation and the the speculations of the U.S. Bank. 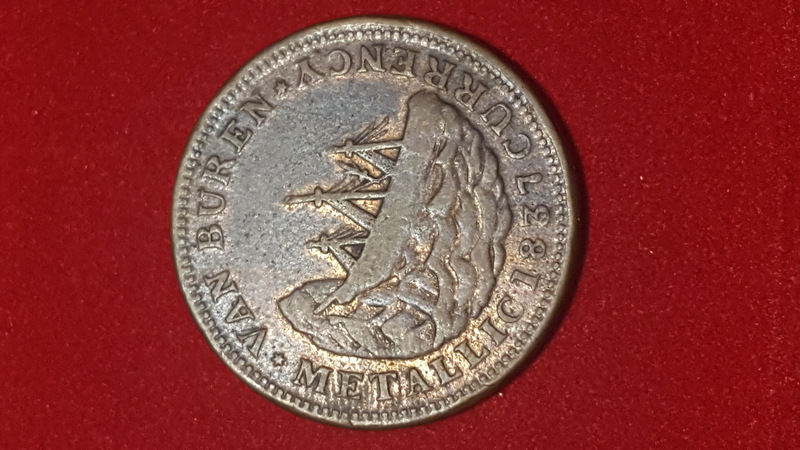 Our final token testifies to the enduring disagreement on monetary policy between supporters of a popular traditional hard currency (gold and silver coinage) as opposed to financial innovation (paper currencies issued by banks): on the obverse a ship thrown on the reefs by a tempest is associated with the failed “Van Buren metallic currency- 1837” while the reverse praises a successful “Webster credit currency - 1841”, under the form of a prosperous ship advancing proudly, with sails filled by a favourable wind. Van Buren had been Jackson’s Vice President and succeeded him as President in 1837-41, while Daniel Webster was a leader of the opposition Whig party, a Senator from Massachusetts but also a legal counsel and a director of the Bank of the United States. 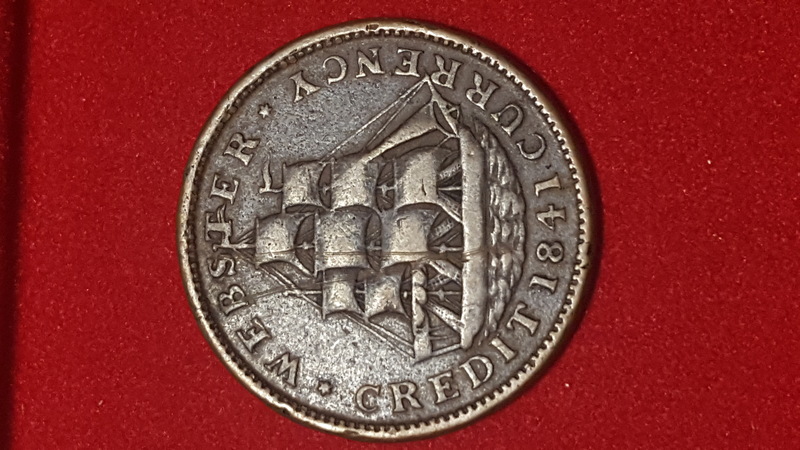 After the defeat of Van Buren and the Democrats at the Elections of 1840, the new President, William Harrison, had appointed Webster Secretary of State, but it was too late to save the Bank of the United States.